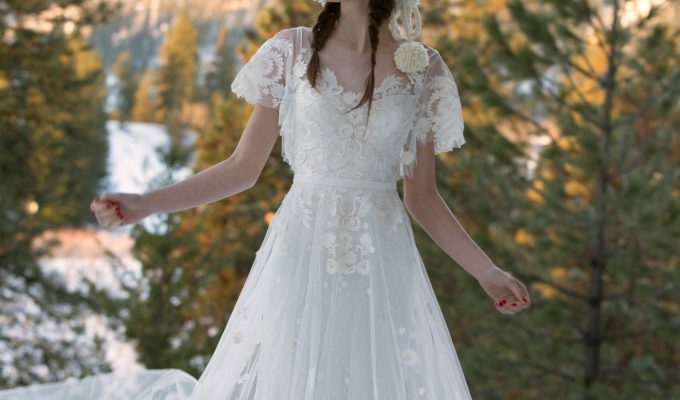 Are you about to embark on your wedding dress shopping journey? Well, you’re in for a real treat. After all, what’s not to love about spending hours trying on beautiful designer wedding dresses with your bride tribe? However, shopping for bridal dresses can be overwhelming, particularly when there are so many gorgeous gowns to choose from. So, before you go, ensure you know what you’re looking for – and what will likely suit your body type. Choose a style that accentuates your upper body and floats away from your hips and thighs. A classic A-line silhouette is especially flattering and will work wonders for your slim waist. Show off your narrow upper torso and let this figure-flattering shape work its magic on your curvaceous, pear shaped body. If you’re pear shaped, you’ll have defined shoulders to die for. Enhance these by opting for spaghetti straps. These elegant straps will accentuate your narrow, stunning shoulders on your wedding day. You’re truly spoilt for choice. Your killer curves will look sensational in many styles. However, if you really want to make the most of your womanly figure, choose a gown that will highlight your tiny waist. 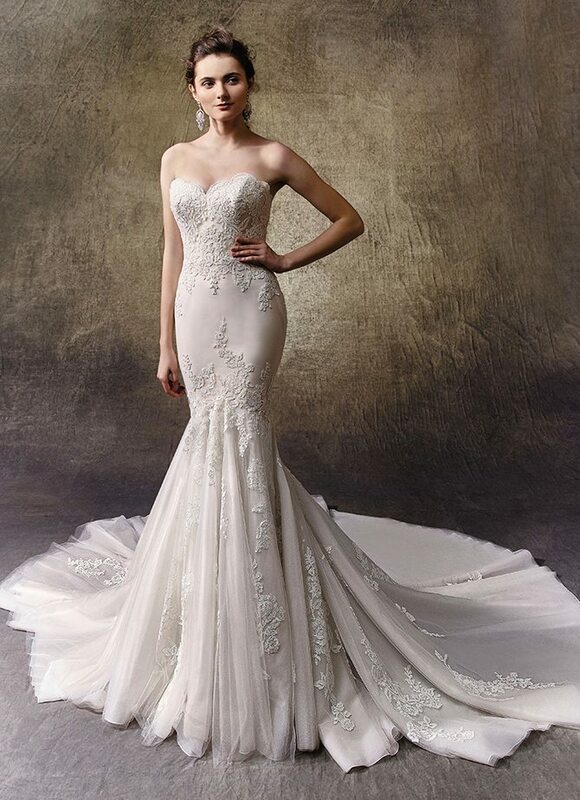 A glamorous mermaid gown will emphasise your waistline and the rest of your balanced figure. A soft, sweetheart neckline will define your bust without flaunting too much flesh on your wedding day. 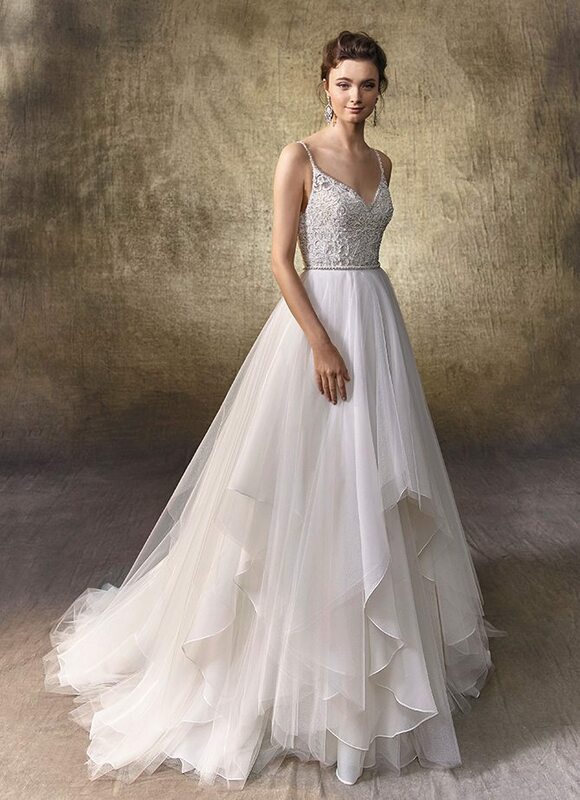 Say hello to bridal perfection by opting for a mermaid wedding dress with a sweetheart neckline for your hourglass figure. You’re blessed with a toned figure from head to toe. Even if you’re not particularly sporty, your generous genes trick people into thinking you’re athletic. So, embrace your slim, sculpted frame by opting for a strapless dress which emphasises your enviable collarbones and toned arms. 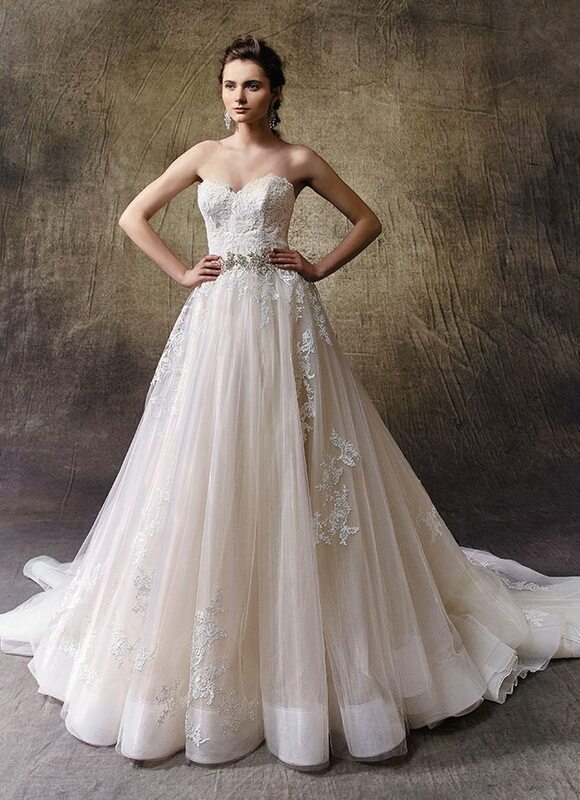 In order to create an hourglass shape, opt for a beautiful, beaded belt to draw attention to your small waist, effortlessly give the illusion of womanly curves and, of course, incorporate stunning detail to your gown. While you may not have curves, you do have legs to die for so a dramatic high-low skirt will look truly sensational on your lithe frame. Your legs are one of your best features so when you’re shopping for the dress of your dreams, you should choose a gown that will complement your perfect pins and divert attention away from your middle. 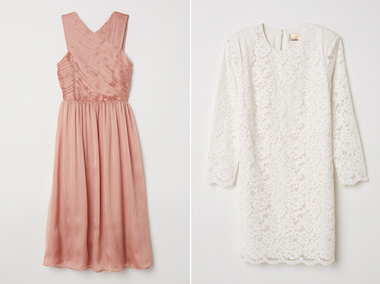 If you’re having a less formal affair, a short wedding dress is ideal for your big day. An A-line gown will work wonders for your frame. This flattering shape will flare out from your waist and create visual balance so you look less top heavy and more in proportion. You’re lucky enough to wear pretty much any neckline you like, but be mindful of flaunting too much of your full bust. A soft sweetheart neckline will draw attention away from your middle and enhance one of your best features. Enzoani offers exquisitely handcrafted wedding dresses designed by creative director Kang Chun Lin. Each breathtakingly beautiful wedding dress has been designed with brides of all shapes and sizes in mind.